A project of Yoann Trellu and Matthias Erian. Video and Sound are controlled by random generated data. Both, the video as well the sound are controlled by this data and work on similar concepts. Video and Sound take slices out of each media content and arrange them controlled by the generated data. By using the same source of control a unique expression is created. 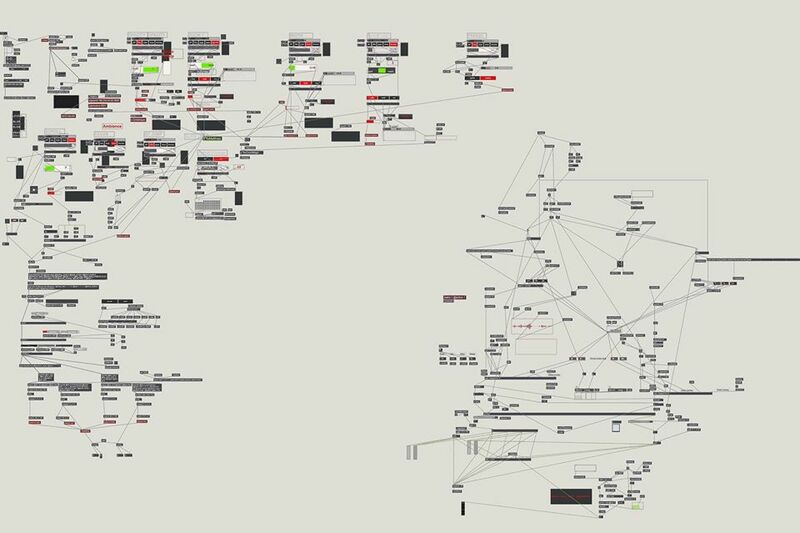 How it look inside, made in max-msp-jitter. The patch.